2017-18 Dates are up and on our calendar! Join us any of the following Saturdays this winter: November 18, December 2, December 9, December 16 (2017), January 20 (2018), January 27, February 19, February 24, March 10, and March 17 for indoor pool rollingin Alexandria, VA. Back again by popular demand we rented the whole pool facility, which means no sharing with swimmers. Our sessions will be from 6-8pm, allowing you to arrive at 5:45 pm to unload your boat along the side of the pool while the life guards close the pool to swimmers and we stage the pool for class. Why take our rolling classes? Our versatility, customization, and non-dogmatic approach to rolling instruction and our commitment to truly small and manageable class sizes will help you to learn a roll more quickly and successfully. Other outfitters and instructors seek us out to help with their rolls as well or to train staff on how to teach rolling. 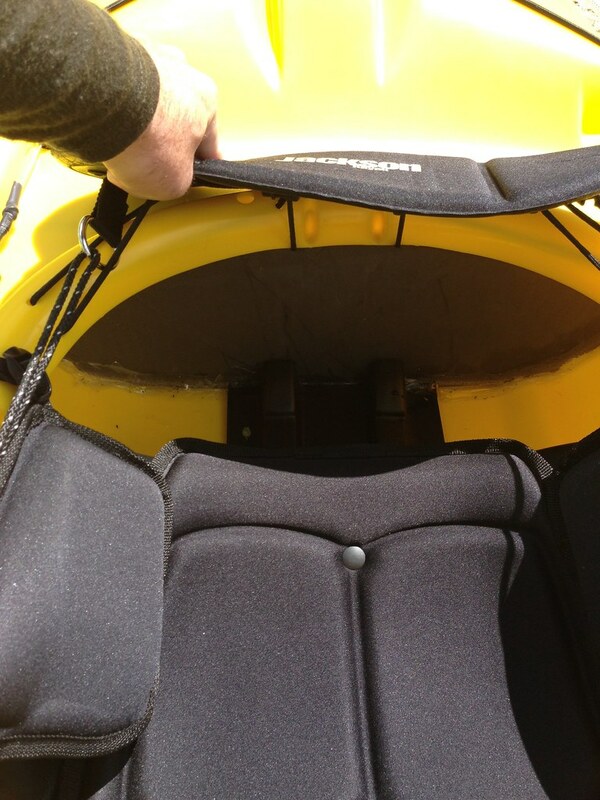 Our approach helps paddlers who need a rolling “adjustment” get what they need in a direct and simplified fashion. Our approach helps beginners learn a more solid roll faster. We do not just instruct seasonally on the weekends, we do this year round. We are able to teach and help improve any of the main styles of rolling, from C-to-C, Sweep, Back Deck, Hand Rolls, Extended Paddle, and others. We will also conduct pool instruction at the Fairland Aquatic Center, love that hot tub. We occasionally offer free tips and instruction at Takoma Park with the CCA Pool Sessions January – March on Tuesday evenings. Alexandria, VA: Our Alexandria sessions are at the Chinqaupin Rec Center. 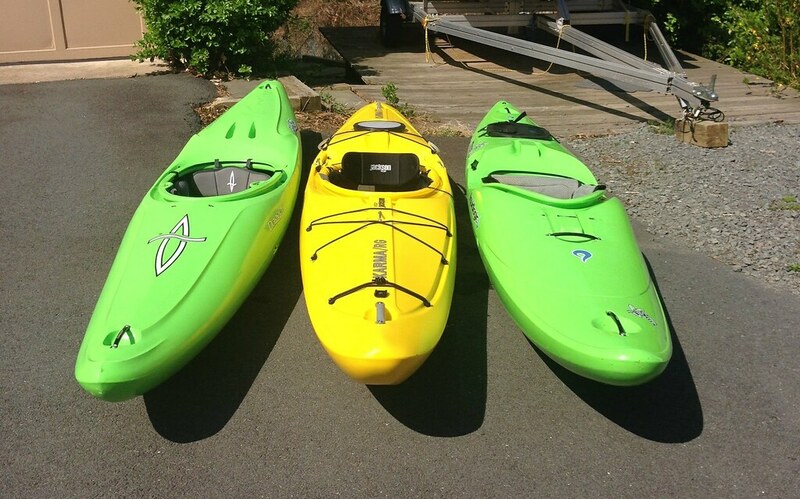 Instruction options include open practice, small group lessons, private instruction, kids classes, and play boating. Fairland: Check out CPA Dates. Takoma Park: Tuesday Evenings, 8-945 Jan-March No Charge from us, just pay for your pool time, Tips and Practice night with CCA. If you would like to join us for Pool Rolling or for a Rolling Lesson, proceed to our payment link and select this course. Is planning private lessons too difficult or is making a weekly evening class just too much for your schedule? 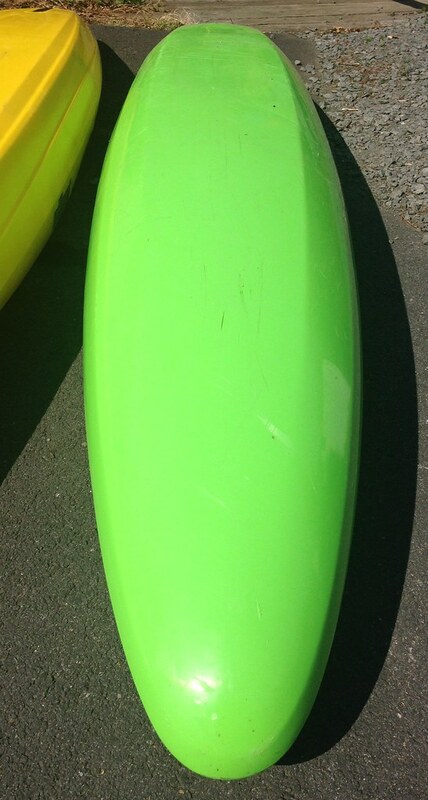 We suggest our Kayak Weekend Clinic. 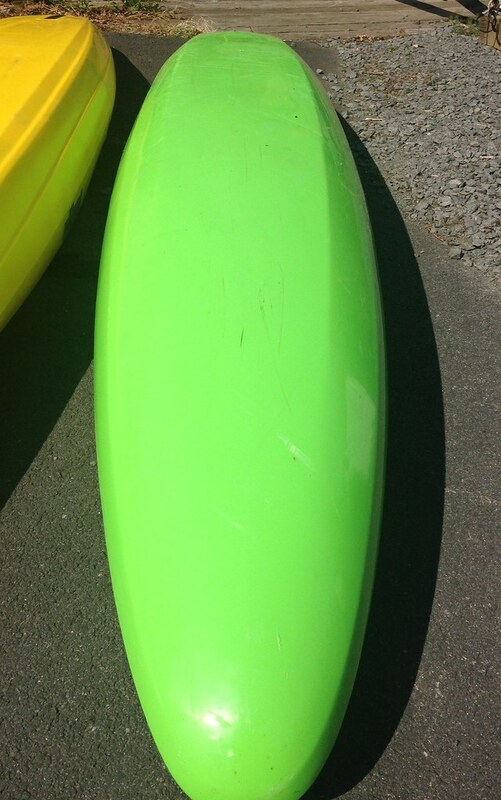 Take a weekend this summer and learn to paddle. We often say, not paddling in DC is like living in Denver and not skiing. 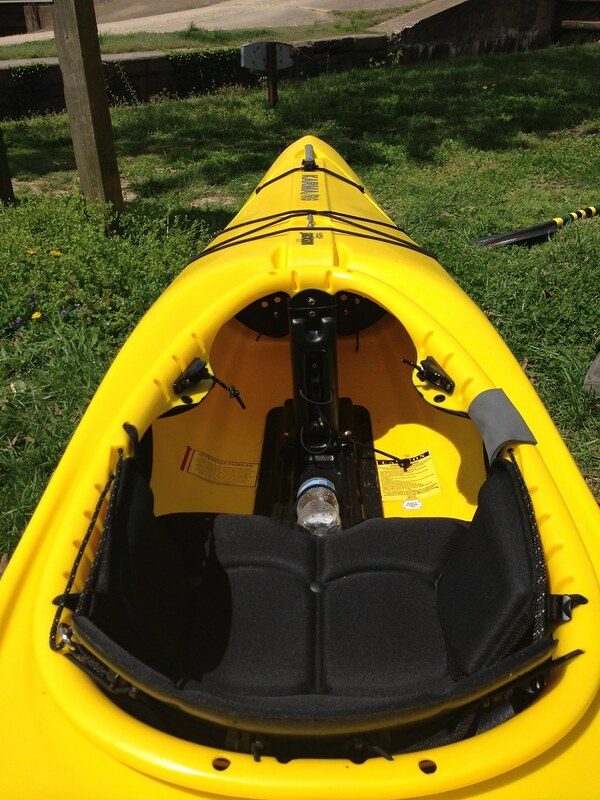 DC and the Potomac River provide a wonderful venue for learning to kayak. 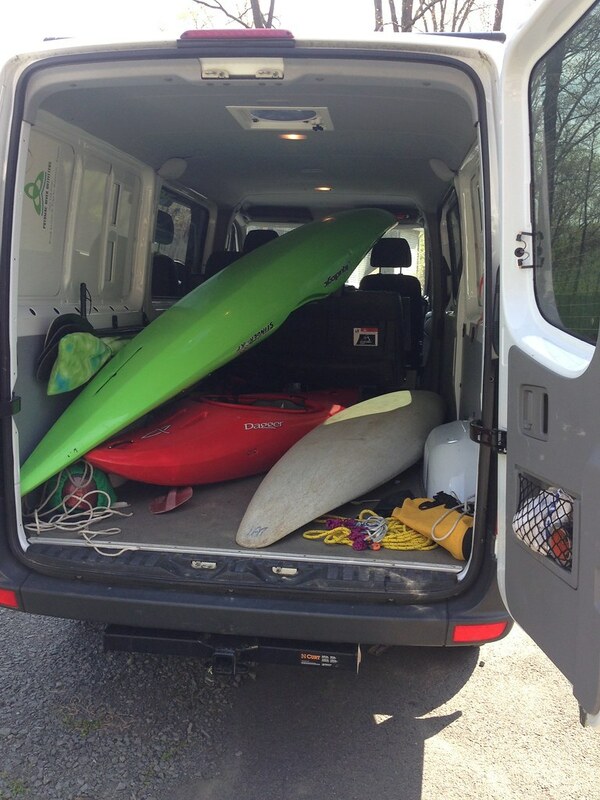 By learning a few basic skills in whitewater kayaks you will be very comfortable taking on other forms of kayaking and have a solid foundation to continue whitewater paddling, should that be your goal. 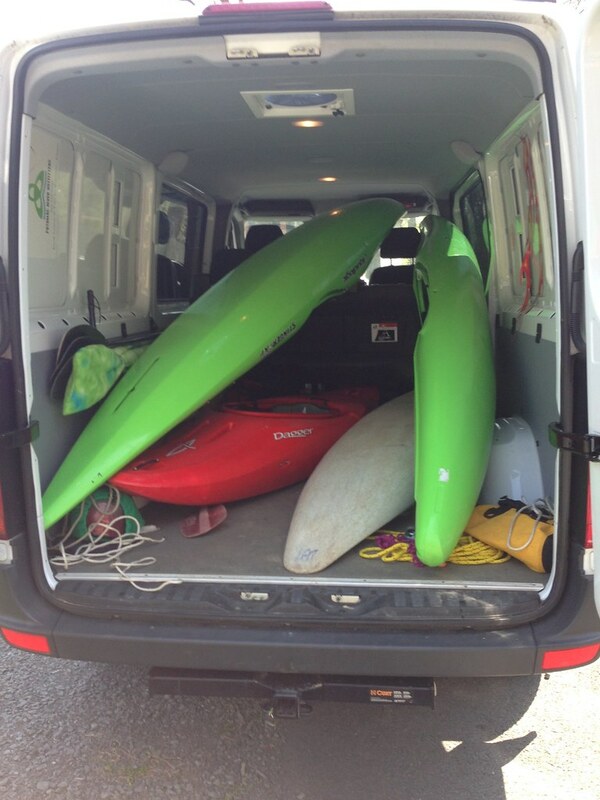 We provide the kayaks and gear for our beginner classes, but we also include lunch on our weekend clinic. 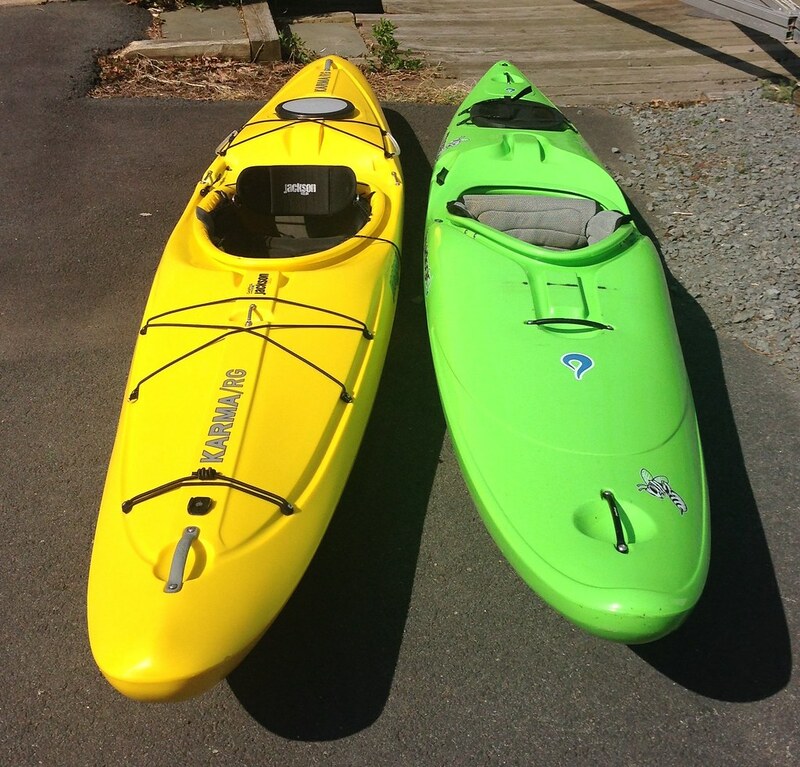 Our Kayak Weekend Clinics are generally offered the second weekend of the month, between May through September (see Calendar for scheduled dates). Our clinics work with 4 – 8 lucky people. Small classes means lots of learning, personalized attention, and flexible classes for you. 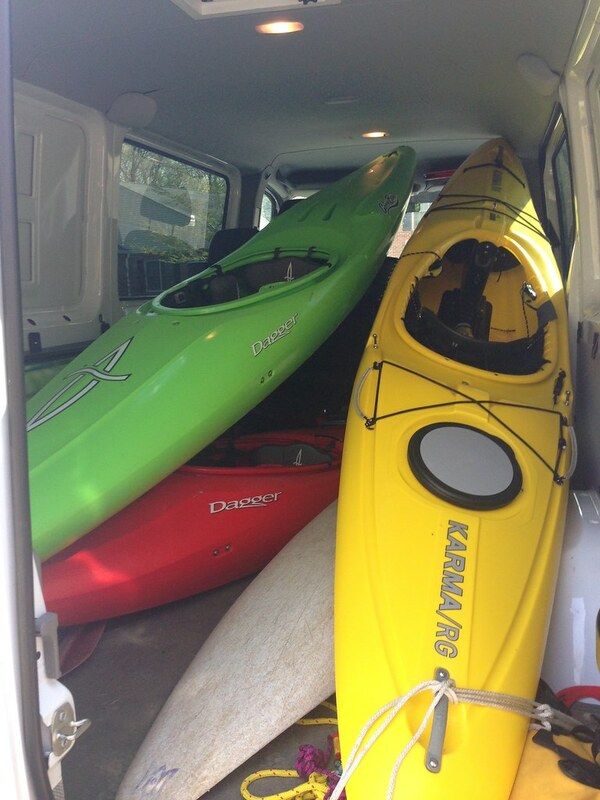 Do you want to create your own kayaking clinic? If you want to organize your own clinic and have 3 friends (a total of 4 students), as the organizer you will receive three evening clinics of your choice free of charge. Fill a clinic with 8 students and get 3 evening clinics and a private lesson. 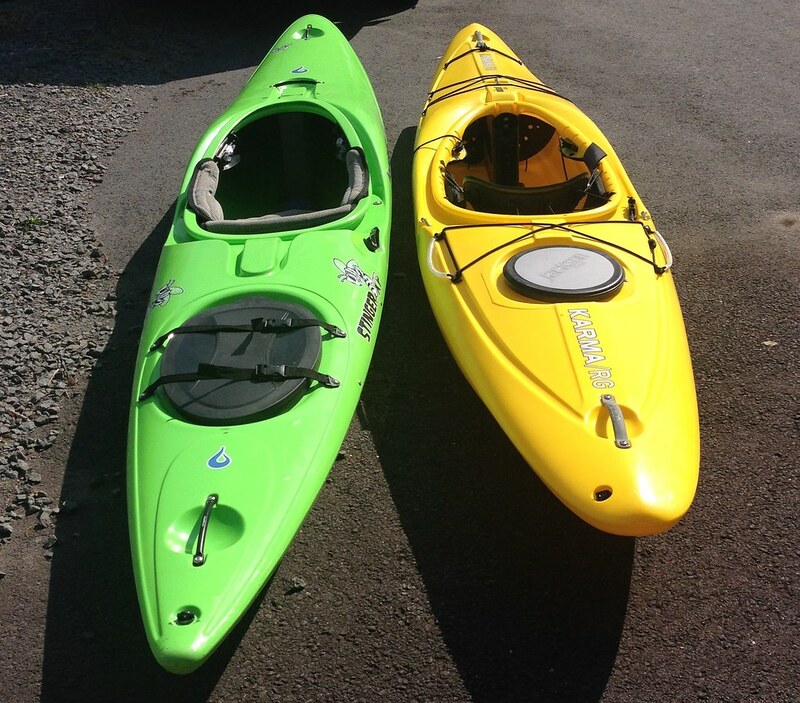 If you would like to enroll in the Learn to Kayak Weekend, proceed to our payment link and select this course. We have designed our evening clinics around small informative lessons delivered in an active format. Evening Clinics are best for folks who completed the intro weekend who wish to further develop their skills and proficiency as well as gain new ones. 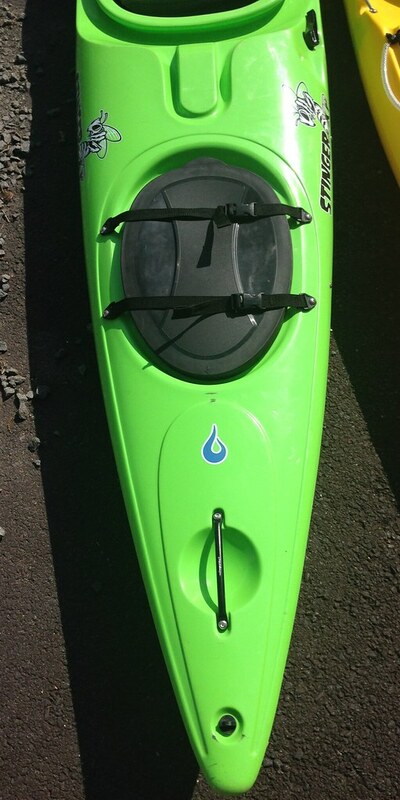 They are also great for folks from varied kayaking backgrounds to gain more knowledge and insight into their paddling. Take several over the summer or just drop in for a tune up. Another benefit of the Evening Clinics is meeting other paddlers. Our Evening Clinics are small mini-lessons on specific paddling topics for the skills pertinent to that group. We roughly divide things up as follows. Beginners: Tuesday Evening Clinics are best for new paddlers looking to gain skill, work on their roll, and get into moving water. Intermediates: Thursday Evening Clinics are best for Class 2+3 paddlers looking to advance their skills to allow them to paddle more rivers. Advanced: Wednesday Evening Clinics are best for Class 3+4 paddlers looking to advance their skills and paddle harder water. Our Evening Clinic begins at Lock 5/6 or at Anglers. Contact us to discuss what group works best for you and your skill level. Take one class, sign up for a whole month, or season pass. If you cannot catch up with us on one of our dates, the CCA (a local club) gets people out one night a week during the summer at Fletchers Cove. We realize that you may be busy or you might think that kayaking involves waterfalls. 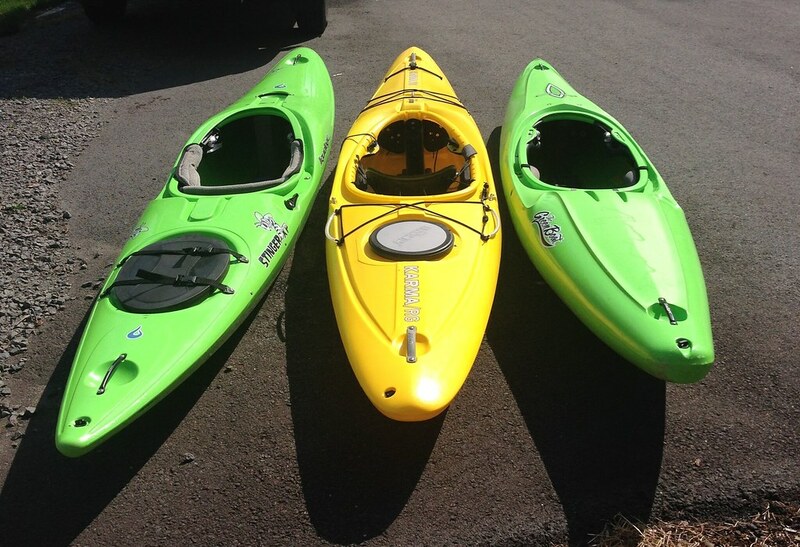 With that in mind we do offer from time to time a kayak sampler for those that would like to try out kayaking but aren’t sure about taking the plunge. 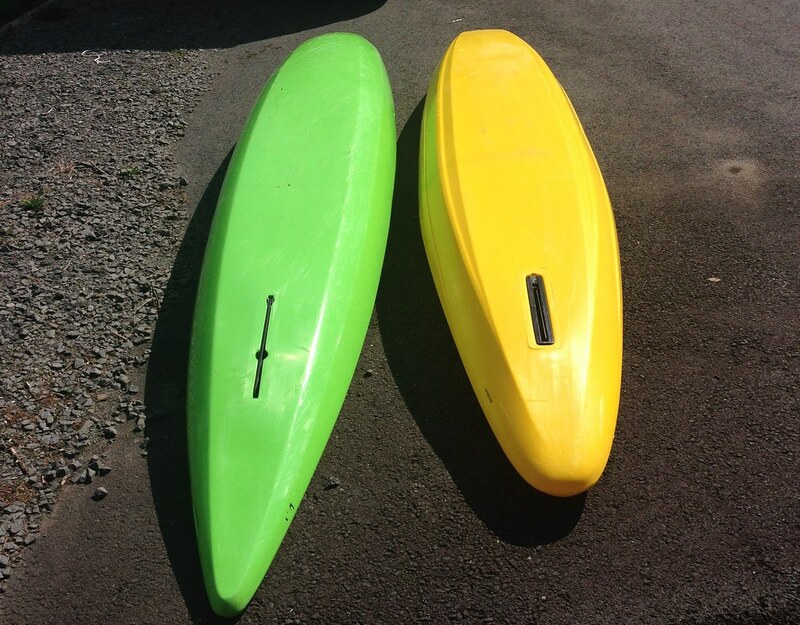 In a 3.5-hour format, we will introduce you to how fun paddling can be. We will show you the boats, how to use them and the related gear safely, and how to get the kayak moving in a fun and interactive fashion. Our sampler class is a great group/family outing, great for out of town guests, and a fun office excursion. With advance notice, we can host up to 15 people. If you would like to enroll in an Evening Clinic, proceed to our payment link and select this course. Rescue is an important (essential) skill for all kayakers. We go over the basics in this 5-hour course focusing on self-rescue for part and aiding your friends and group members in the second part. Our Rescue Essentials course covers swimming rapids, intro to ropes and boat based rescue techniques, so you can be part of the solution on your next river trip. 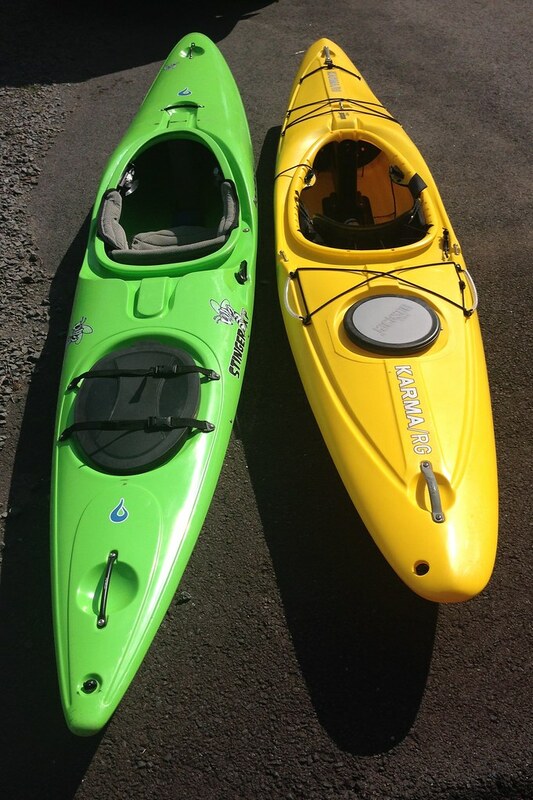 This course is an excellent preparation for new kayakers contemplating their first river trip, an excellent class to take after our intro weekend, or as your first rescue class. We cover accident prevention and trip planning. No special gear is needed for this class, we provide what you need so you do not end up buying gear that turns out not to be so useful. If you would like to enroll in the Rescue Essentials course, proceed to our payment link and select this course. 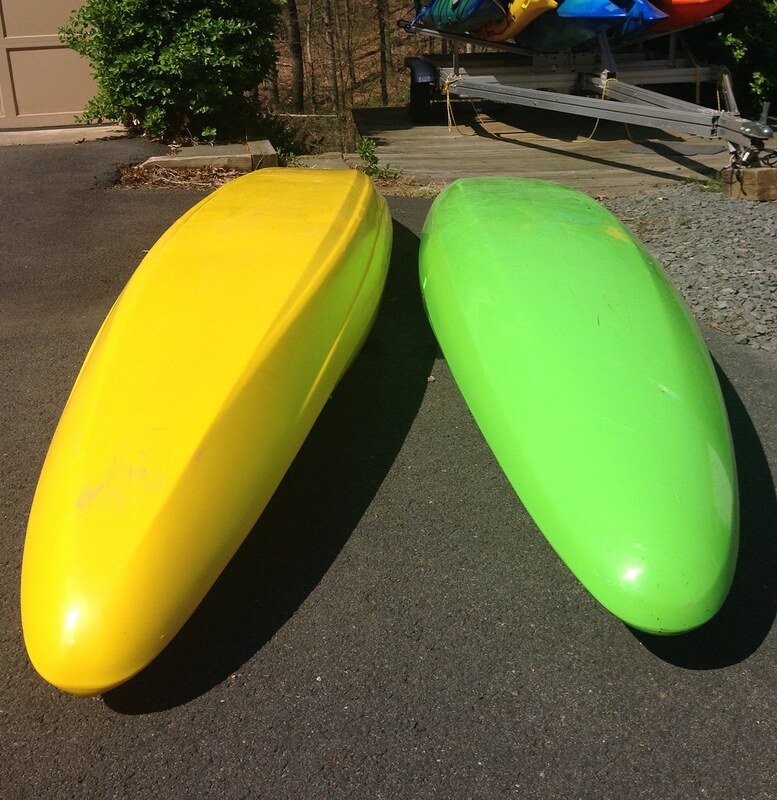 If you cannot attend one of our river trips, we offer a weekend of classes on the Potomac for the intermediate paddler looking to refine their skill set. 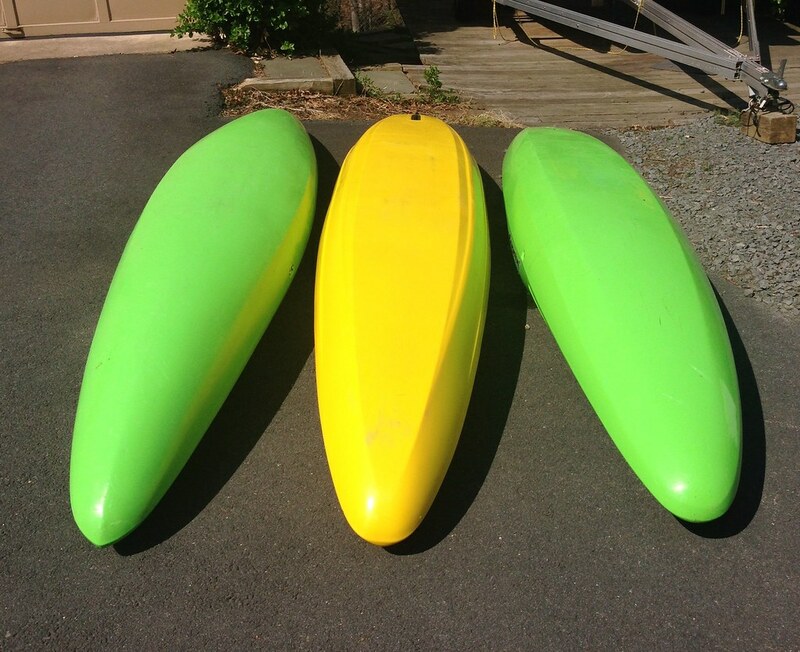 This is a great option for students finishing up beginner courses from other programs looking for the next step, paddlers seeking refinement, or those getting back into the sport after a hiatus. 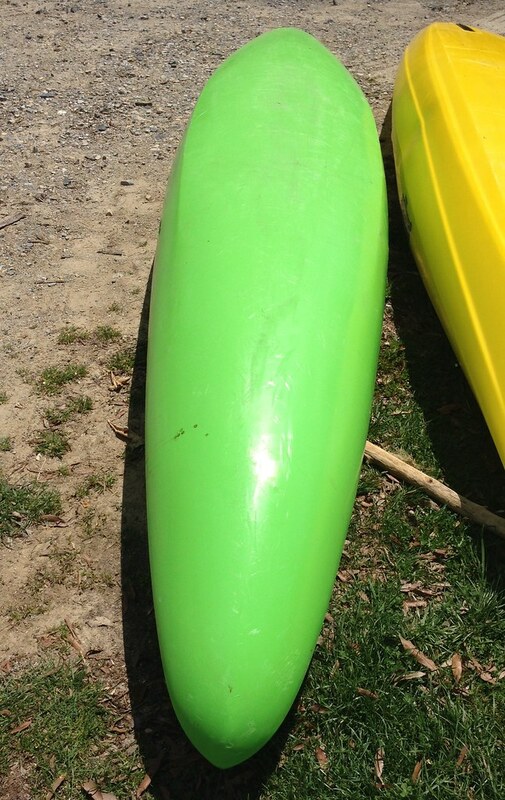 The course consists of two half-day classes on the Potomac on Saturday and Sunday. We start early so you can enjoy the rest of the day after we finish up. The class is based on the Potomac so will not miss anything in town. 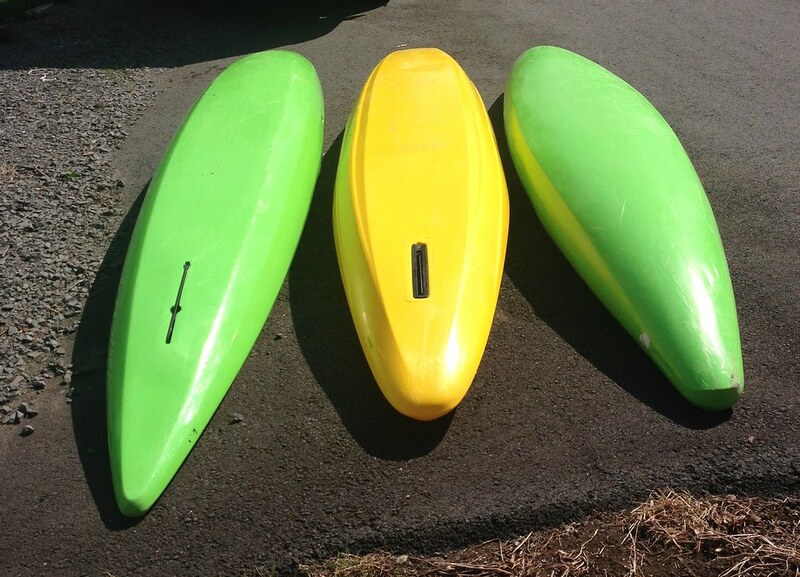 You should have a solid roll in flat to moving water and paddle Class 2/3 proficiently. Our small class size helps ensure plenty of individualized instruction. Please contact us about this course. Occasionally, we offer a WFA course along with CPR. 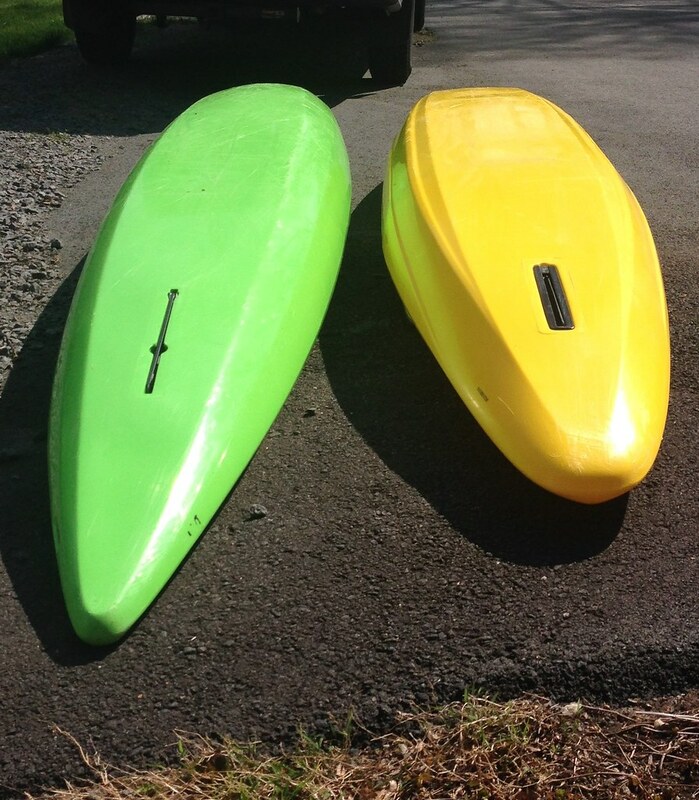 From time to time, paddlers find themselves in need of these skills. Having this course under your belt makes you a more complete paddler. When we host a course, we do so through Landmark Learning, one of, if not the leading company providing this training. When we host a course, we will post details here and on the calendar. In the mean time, should you need one of these courses, please visit the Landmark Learning website to learn more about how you can have a course anytime.